Kendraja! You were the 7th commenter (which just happened to be the exact number chosen by the random number generator, lol). Please send me an email to CambriaWashington(at)gmail(dot)com with your physical address so that I can send this baby your way. Oh, and remember to replace the words with the actual @ and . or I won't get it. I have to say, this really is a cute little book with great patterns for kids, and I AM a little sad to be parting with it. 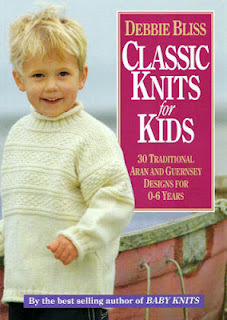 However, my youngest is now 6-years old (this book only goes up to size 6), and he's extremely picky about his sweaters. He won't wear any of the great pullovers in this book, so it doesn't make any sense for this awesome book to be taking up valuable real estate on my bookshelf. I sure hope Kendraja can put it to good use. As a matter of fact, Alex asked me for a purple sweater this week. He already has a purple sweater but he said "my sweater itches my neck when I wear it". Right. It's not as though he hasn't worn this very same sweater for two winters or anything (and not complained about it once). I think he just wants another one and thinks that I won't make another unless he says that (clearly he doesn't know me very well). Now we don't have very many machine-washable purple yarns in the shop, in a price range that I'm willing to pay to make a sweater for a child. I chose the only one we had (other than the one I'd already used) and he didn't like that shade of purple. 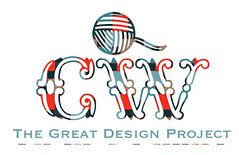 So we'll have to wait until the fall yarn shipment comes in. On the same subject, I was supposed to start the Rockaway sweater for my husband. 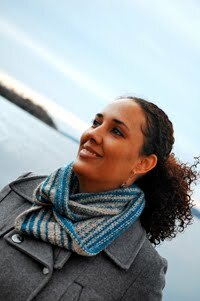 Last year we spent hours looking over the Cascade Yarns color card for Eco Wool and Eco +. He selected a slate blue. I bought the yarn and showed it to him (and he approved said yarn). This week I finally swatched and measured my husband to make sure I chose the correct size. Yesterday I took out one of the blue skeins and opened it. I was just about to put it on the winder when I had a feeling I should have him look at it again. He didn't recognize the color (yes...the color HE HIMSELF carefully selected). He didn't like that blue. He couldn't imagine why he would have chosen that blue. So I had to put it all on hold (again) and reskein the yarn. When he dropped me off at work, we discovered that we didn't have any light gray in stock (he decided he wanted light gray), and now I've got to hold off until the fall Cascade order comes in. So what's a sweater junky to do when she can't knit sweaters for her guys? Knit for a baby of course! My visiting teaching companion is having a baby any day now. She may have actually had the baby already for all I know (she's not replying to emails and she's pretty good about that). I knit another Yoked Cardigan, this time in my favorite heathered gray Cascade 220 superwash. It went lightening fast! I finished it in two sittings. I decided to channel Hannah Fettig herself, and use bright red buttons on my gray cardigan. It's cuter than I hoped and I can't wait to give it to her. I love this little pattern so much that I may have cast on immediately for another one, using Comfort DK stripes. I'm modifying that one so that it will be appropriate for a little boy (because a former coworker just had a baby boy and I only need a paper thin excuse to knit a baby sweater). So cute! I love making baby sweaters - so teeny, so fast.